Which masked man managed to make the most saves? Hint: He appeared in 73 games and was just 54 saves shy of 2,000 on the season. The puck stops here when it comes to the NHL backstoppers who turned away the most shots in 2016-17. Edmonton’s No. 1 goaltender fashioned a .919 save percentage, won 42 games and made 1,946 saves in 2016-17. 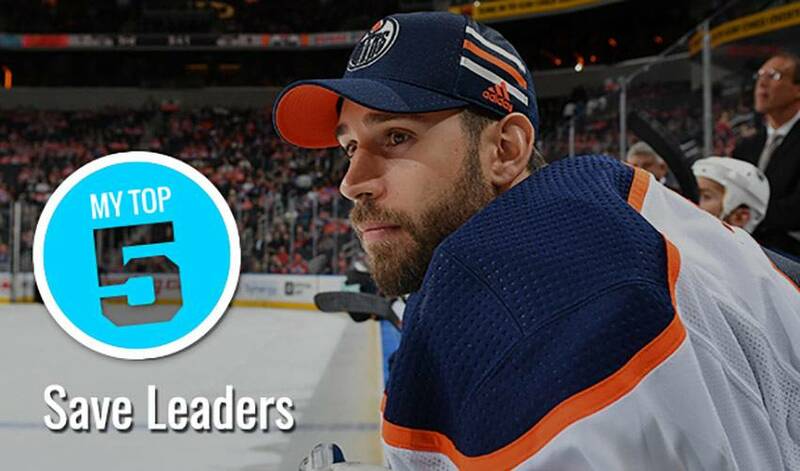 Talbot also recorded seven shutouts in his second season with the Oilers. The 2016 Jennings Trophy winner posted 33 wins in his first campaign with the Maple Leafs, a season in which he had a .918 save percentage, four shutouts and a 2.67 goals against average. He faced 2,052 shots. Lehner won a career-high 23 games and notched a career-best two shutouts with the Sabres in 2016-17. The Swedish-born netminder, who played 59 games with Buffalo, recorded a 2.68 goals against average. Bobrovsky was a big-time star for the Blue Jackets in 2016-17, winning the Vezina Trophy for the second time in his career. Making 1,727 saves, the 29-year-old won a career-best 41 games and led the league with a .931 save percentage. Minnesota’s man between the pipes was a force with the Wild in 2016-17. The 6-foot-6 Saskatchewan native won a career-high 40 games, had a .923 save percentage and notched five shutouts for the second straight season.